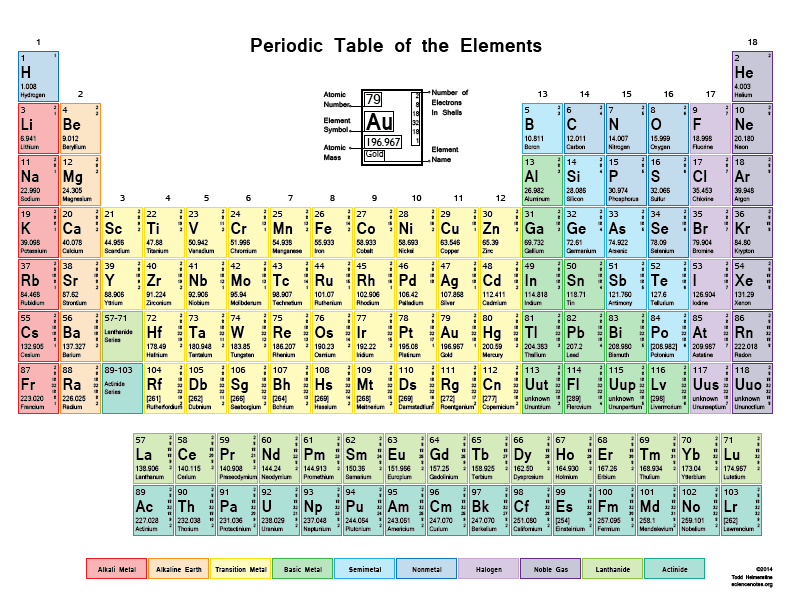 This color periodic table is colored to separate the different element groups. Each cell contains the element’s atomic number, element symbol, element name and atomic mass. The small numbers running along the side represent the number of electrons in each shell. This downloadable PDF version of this color periodic table with shells is optimized for printing on a standard 8.5″×11″ sheet of paper. Choose Landscape and Fit for your printing options. A black and white version is available for those without access to color printers. An interesting white on black version may be worth a look if you would like something a little different.